Looking to make a quick soup or salad? Maybe a gluten-free dish, or an easy one-pot meal? How about baked chicken dinner? Perdue’s chicken recipes are guaranteed to make you and your family smile. 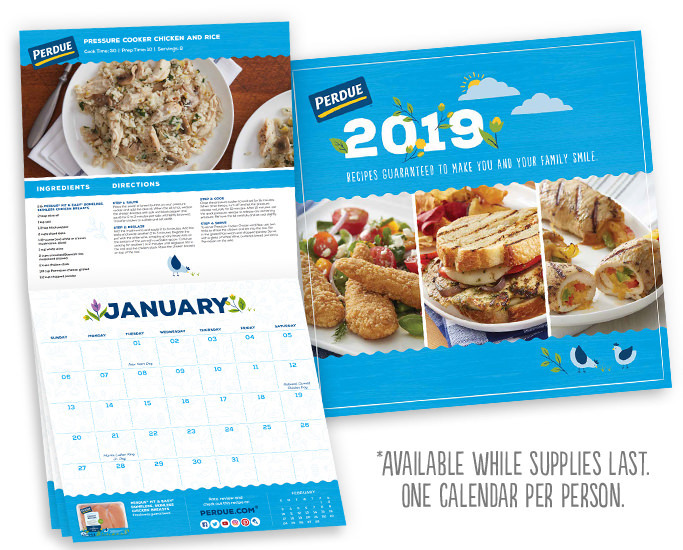 You can order a free 2019 Perdue Recipe Calendar today! It’s a beautiful calendar full with great recipes! This will go fast, act quickly. While supplies last, one calendar per household.